With temperatures dipping below freezing here in the Pacific Northwest, our thoughts have drifted to warmer and sunnier climates. Hawaii is sounding pretty good right now! 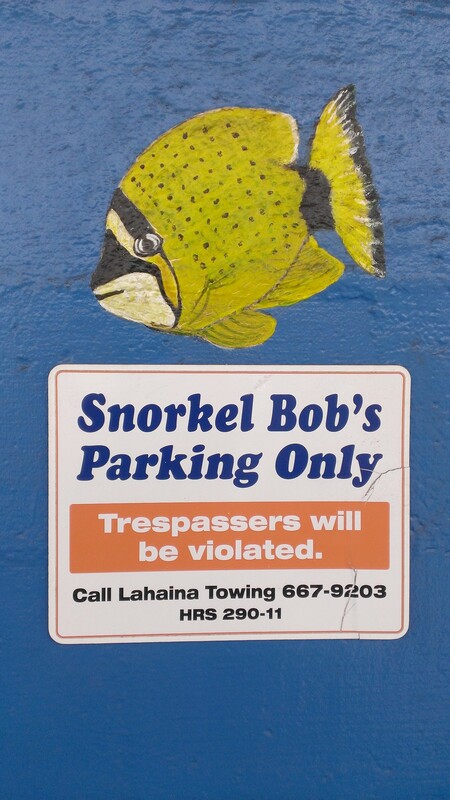 Hayley Nichols, Founder and Principal of Allovus, and her family took a trip to Hawaii earlier this year and had a fun time exploring the beach… and the signage. 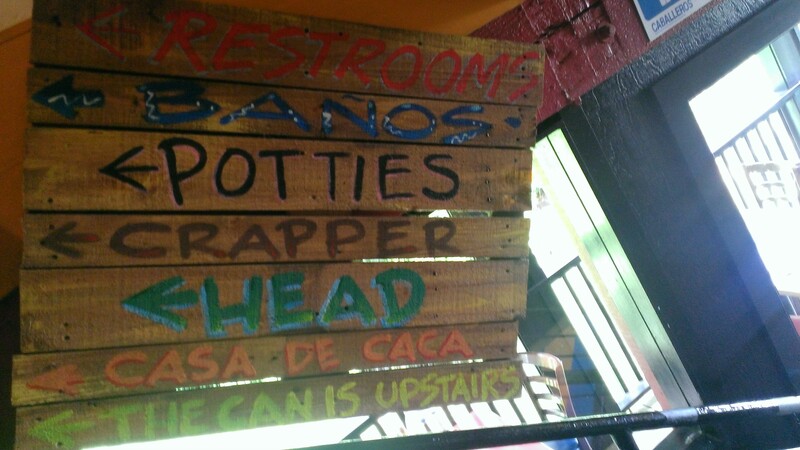 We thought it would be fun to show some pictures of the signs she found on her travels. 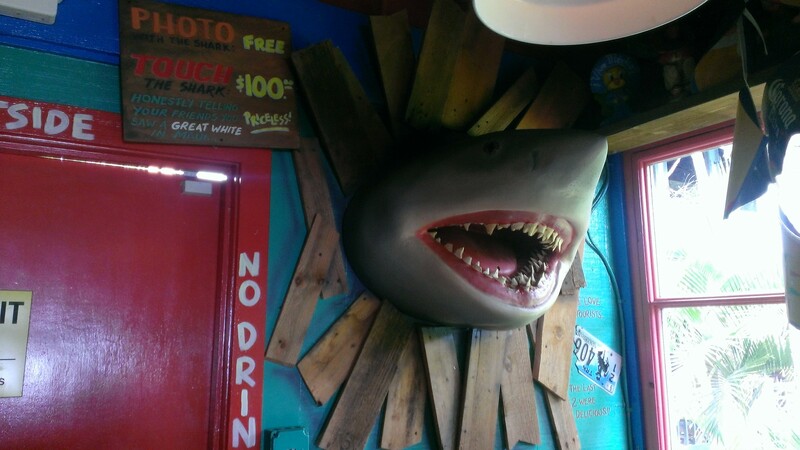 Good UX on vacation can help you get from point A to point B… or not. 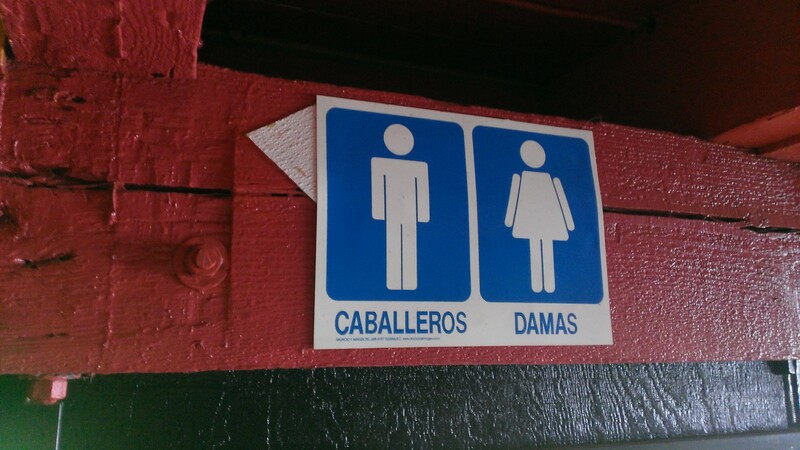 When you get there, this bathroom sign will help you brush up on your Spanish skills. If you don’t understand the first word, you can work your way down the list. 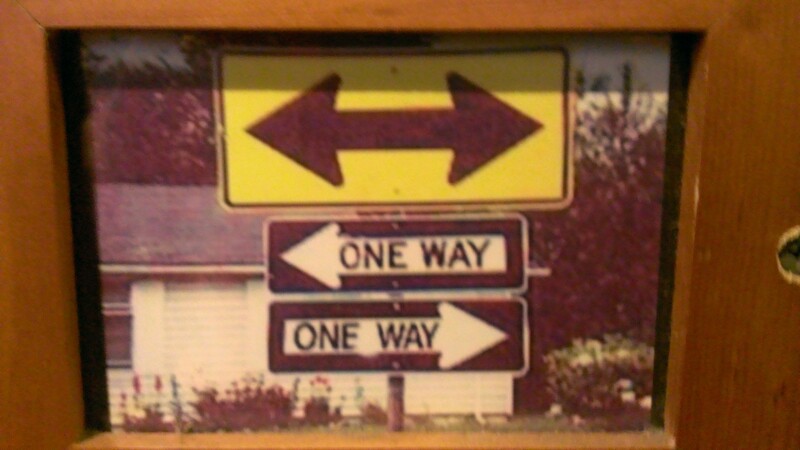 Good thing the arrows all point in the same direction. Not quite sure what’s going on here. Doesn’t la taza mean a cup or mug? 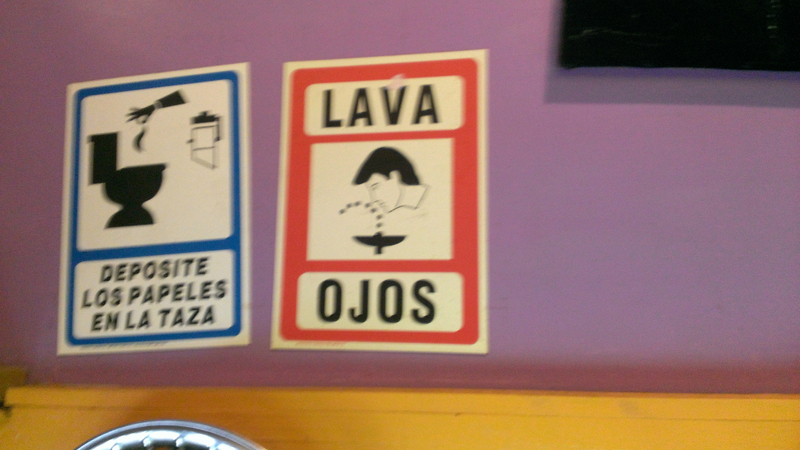 So drop your papers in the toilet-shaped mug and then wash your eyes (ojos) out in the fountain. 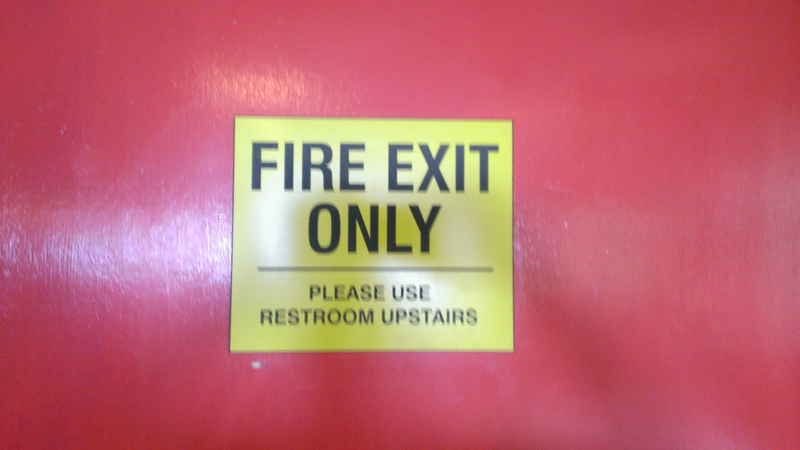 Yeah… that makes sense. 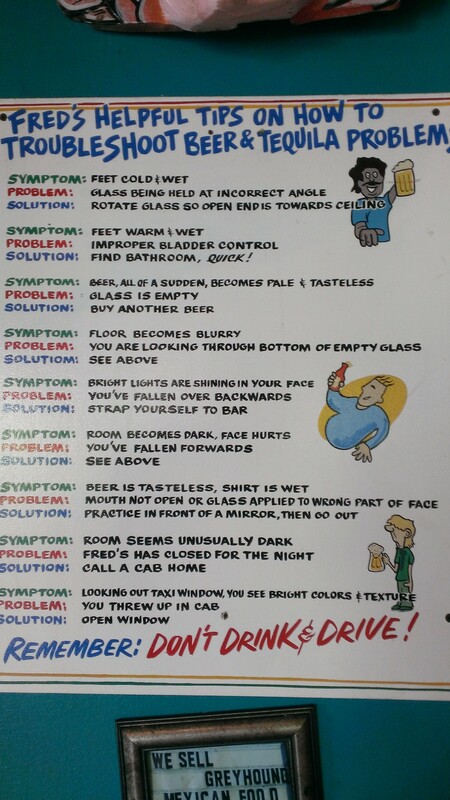 Maybe whoever made this sign had a drinking problem… or maybe they had WAY too much time on their hands. We like how they remind you to not drink and drive at the end. 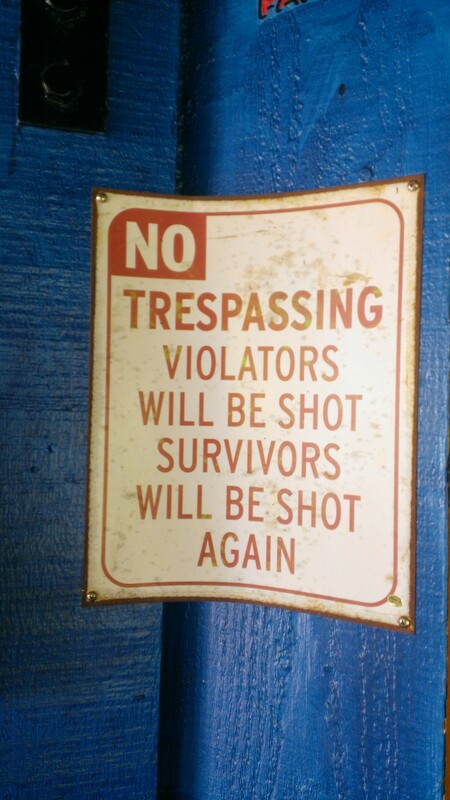 So which is it–violators will be prosecuted or trespassers will be violated? 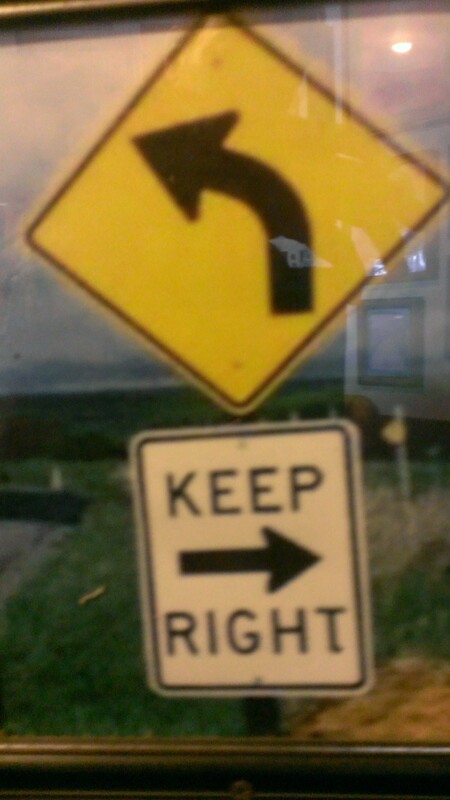 This seems a little violent, but the directions are very clear. 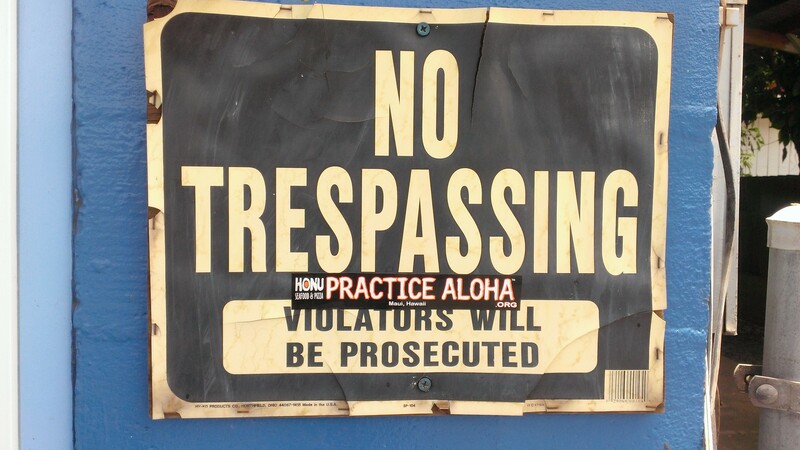 Repeat after me… do NOT trespass. 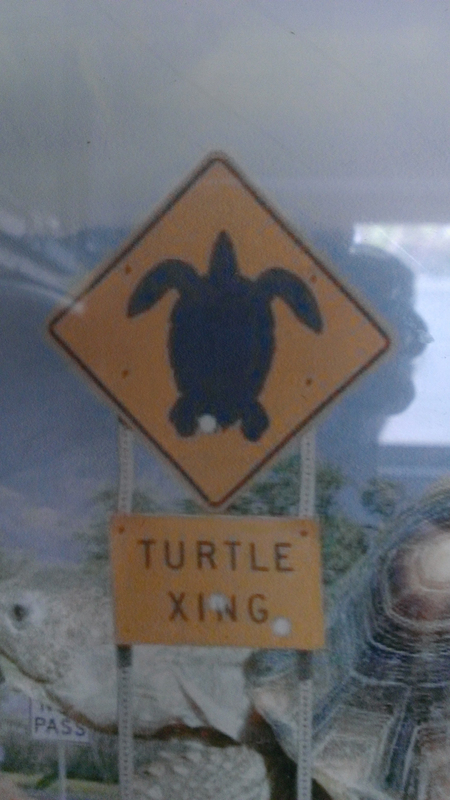 Whatever you do, watch out for turtles! Read our other ux on vacation articles: ux on vacation: Disneyland and ux on vacation: the airport. 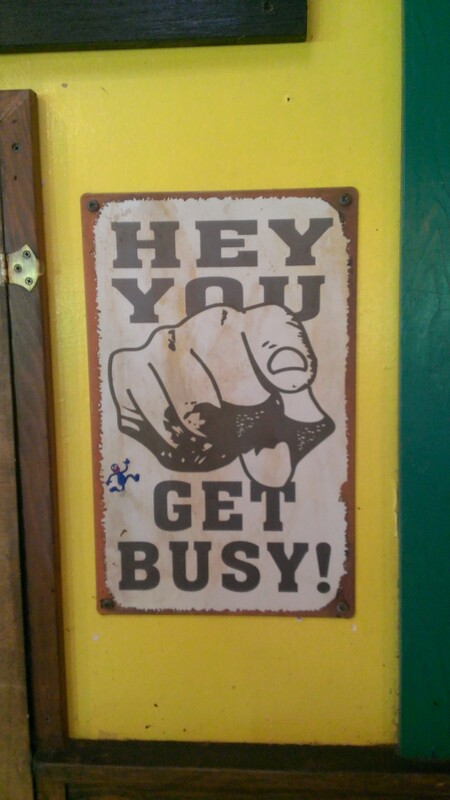 Tags: Hawaii, signage, signs, user experience, ux, vacation. Bookmark the permalink.